The death toll from a huge 6.9 magnitude earthquake in Indonesia’s Lombok island has climbed to more than 320, officials said on Friday, even as relief efforts picked up pace. 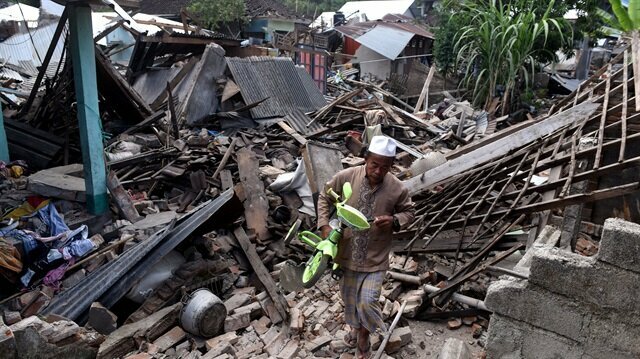 Indonesian villagers on Tuesday said they are facing an uncertaine future as recovery process of the destruction caused by a magnitude 6.9 quake is progressing slowly. Fifty-two-year-old, I Wayan Gede, whose village "Kampung Karangkauhan" did not have a building structure that remained standing said his family is suffering from terrible trauma that could take more than half a year to recover. 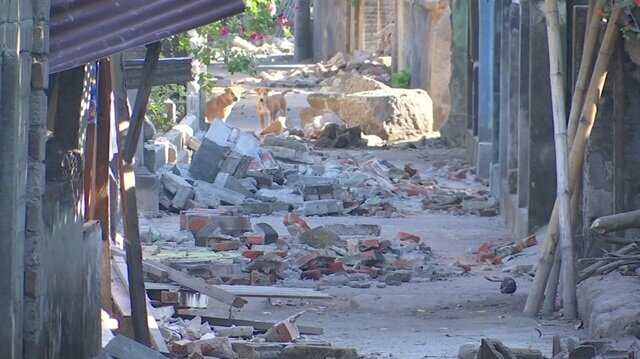 At least 98 people have been killed following the powerful quake on Sunday evening. “Aid is being distributed as quickly as possible upon arrival,” Sutopo Nugroho, spokesman for the agency said in a statement, adding that hundreds of volunteers were assisting the efforts. Mobile kitchens have started distributing much-needed food and water to thousands of evacuees in the worst-hit areas, he said, after several days’ delay due to poor access and communications. “After the emergency period is over, the government will undertake rehabilitation, reconstruction, repairs to residential areas and public facilities,” the cabinet secretariat website quoted Widodo as saying.